Club President, Om, opened today’s meeting with her usual enthusiasm and a brief inspirational story from her going to the International Convention. She informed us that at the recent Club Board meeting it was decided that the proceeds from the Duck one  week per month would be dedicated toward Polio Eradication…starting today! Om also mentioned my recent [Monday, the 17th] 79th birthday…and I appreciate the recognition, but thank goodness they only come once a year! Al Herriges led us in today’s Pledge…Thanks, Al! Guests today were: Tyler & Spencer McMaster, Jim McMaster’s sons/guests. Bianca Neff was Mike Caruso’s guest. 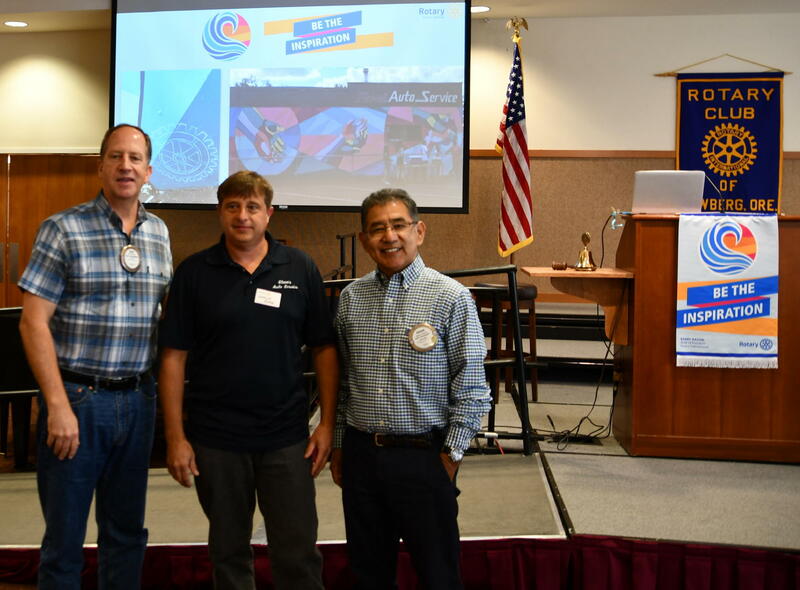 Consuelo Christianson was an EarlyBird Rotarian visitor introducing their two In-Bound Exchange Students, Rosangela Ruiz Lopez and Matteo Crotta…more about them a bit later*. Welcome all! Deborah Cathers-Seymour provided us with our Rotary Moment today…and spoke on the great opportunity to promote Rotary during her time spent at our display at Oktoberfest. Spencer McMaster is headed to Africa for a stint with the Peace Corps. We wish you GOOD LUCK! Tyler McMaster has joined the U.S. Coast Guard to help protect our nation’s coast lines…Thank you for your service! 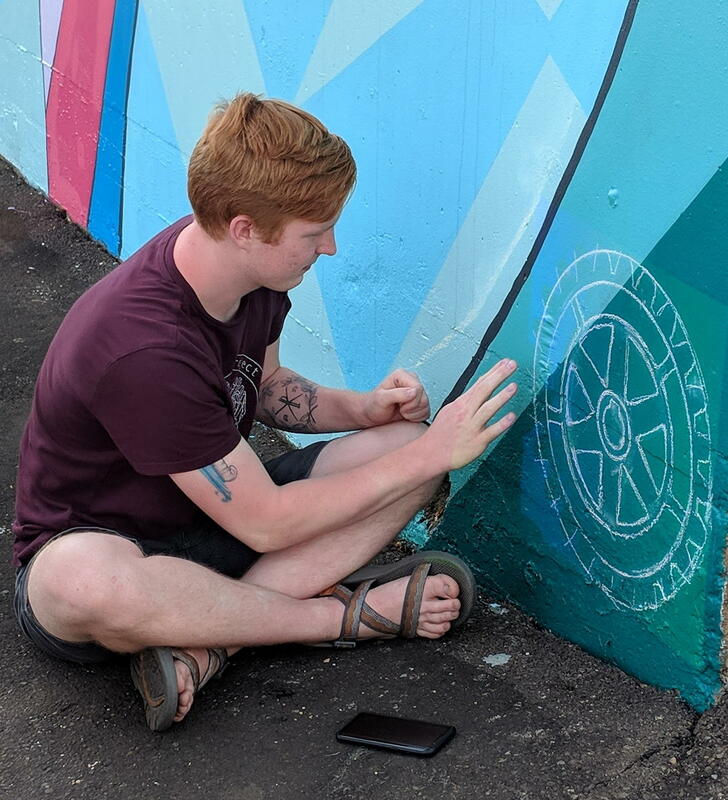 With the first Rotary Mural a successful, now-completed project, the next one is already “in the works”. 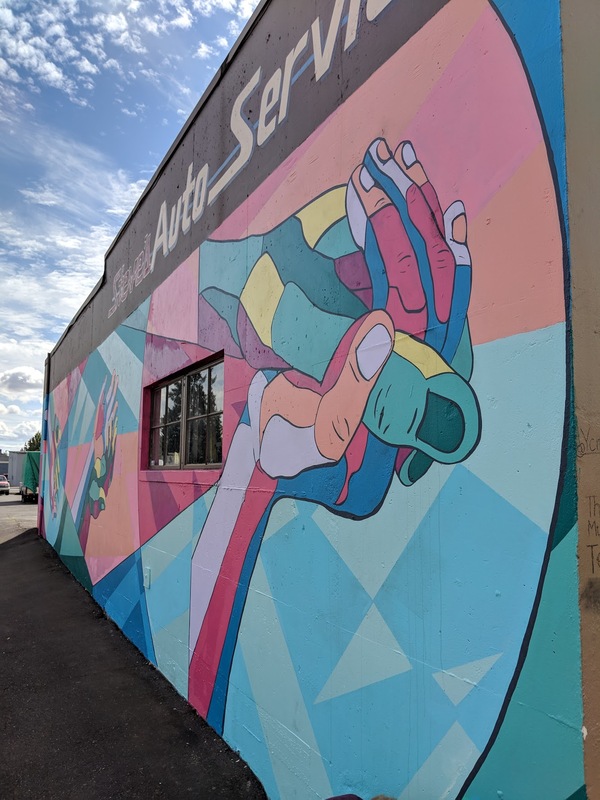 With the word out in our search for additional outside wall space for another mural, we have had offers by Aaron Lewis, Lewis Audio, on Highway 99W, as well as an offer from the Domino’s Pizza Manager to replace the graphics of their existing mural. Geoff Gilmore says there will likely be other sites come up for the artists and committee to consider/decide upon before the second mural is begun next summer. If you have any site suggestions, please bring them to the meeting on the 26th, or contact Geoff directly! Mike Caruso handled the “Duck” today…managing to collect generous contributions from several Rotarians present…with today’s collections destined for Rotary International’s global Polio Eradication efforts…resulting in $155 raised today! 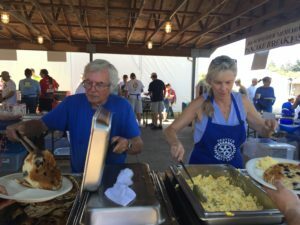 Thank you, Rotarians! A primary service focus for Newberg Noon Rotary Club is on YOUTH. The recently completed MURAL PROJECT has been a great example…with details of the second Mural Project already in process. 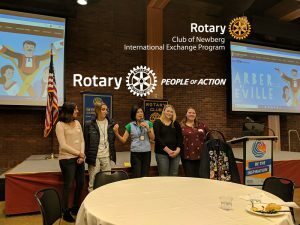 In additional youth service, Newberg Noon Rotary has helped support the efforts of the Earlybird Club’s Rotary Youth Exchange program. There are several ways we can help… including hosting students in our homes for a period of a few months…and other ways listed below**, inviting them to our weekly meetings, having them speak about their homes to us, and having them join our families when going out eat, or taking trip to the beach…or the mountains…or Disney Land…or ?…you get the picture…helping them GET INVOLVED … IMMERSED …in our culture…in our community! *Rosangela Ruiz Lopez is 16 years old. She is from Oaxaca, Mexico. [Oaxaca is a city in central Mexico…about 300 miles SE of Mexico City. It’s known for its colonial buildings, many of which are made from green volcanic stone.] Swimming is Rosangela’s favorite sport. Her favorite classes: chemistry, biology and math. She is devoted to maintaining good relationships with friends and family….and helping with & learning from people. Scouting is another interest as well. 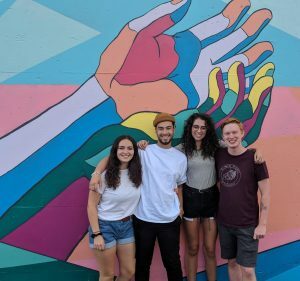 Her personal goals for her exchange year are to share the diversity of ideas and customs of her own culture and learn from others…as well as gain additional personal independence. Rosangela describes herself as “responsible and respectful”. *Matteo Crotta is also 16 years old. Matteo is from Lake Como, Italy, an iconic lake destination [in central northern Italy, very near to the Switzerland border, about 50 miles north of Milan] known for its scenic beauty, mountain vistas & historic lakeside residences. Per sports, Matteo likes soccer [futbol], surfing, snowboarding, and cliff diving. He likes “hanging out” with his friends and listening to music. He wants to travel to South Africa, Bali, Portugal, France and the U.S. His favorite school subject is “History of Art”. He loves pizza, pasta, and every type of meat…but dislikes some veggies and cheeses. Matteo’s goals for his exchange year…learn different ways of living and to gain personal independence. He describes himself as a friendly and thoughtful guy! 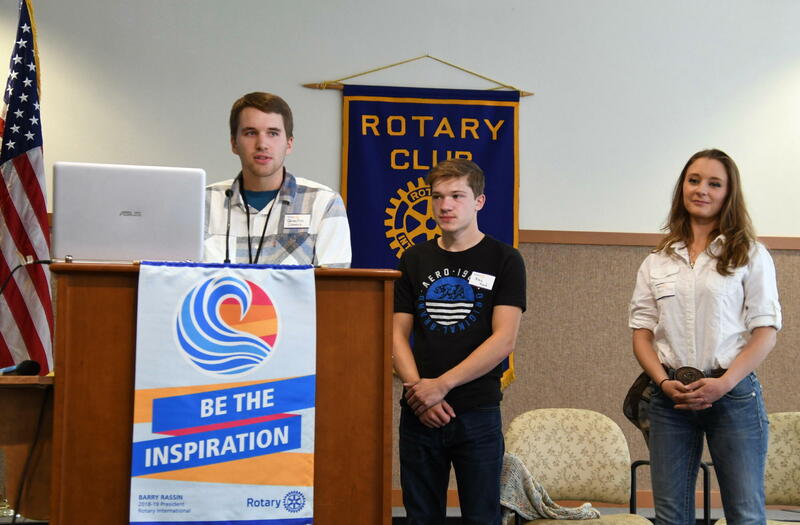 **REMEMBER…these YOUTH are our FUTURE ROTARIANS! 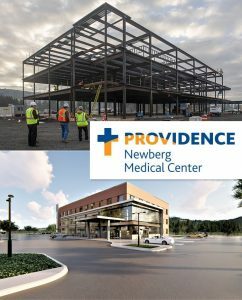 SO…GET INVOLVED with their Newberg…Oregon…U.S. experiences! Host them as integral parts of your families…dinners out…dinners at home…day trips…to the mountains …to Portland…to our State Capitol, or the BEACH …how about a trip up the Old Columbia River Gorge Highway and a visit to Multnomah Falls!? Bonneville Dam…maybe Timberline Lodge…a rafting trip on the Deschutes…or the Rogue River…ski trips in the winter…check out the awesome clear/deep blue waters of Crater Lake…a visit to the Oregon Caves …ocean fishing out of Newport…or Astoria…the Cheese Factory in Tillamook…check out some of the universities in our state…we have several within easy driving distances…invite them regularly to OUR Rotary meetings!…so the list of possibilities is endless! To get directly involved with these students’ exchange years in our community, contact Michelle at 503.476.5200. Our speaker for today’s program was Lisa Blackburn, Volunteer Coordinator for Newbeg FISH, with the topic of “Hunger in Newberg”. FISH is a non-profit, all-volunteer organization partnering with Newberg and Dundee to provide food and meal services to the elderly and disabled in need of such assistance. Receiving $2,504 from Food Bank, food boxes are sent out every 4 weeks to those in need. 20% of food is purchased. FISH gets its food from a variety of sources, including community donations/food drives; local grocery stores; Starbucks; farms [i.e, Mustard Seed] ; YCAP; regional food pantry; churches do community dinners on different nights; U.S. Commodities are free; and FISH took over the management of the “Friday Food Program” at Edwards Elementary School...whereby kids who may not have enough food for the week-end are provided a backpack to take home with enough food for them. FISH can always use additional volunteers and/or financial contributions to continue helping those in need in our communities. Thank you, Lisa! SAVE THIS DATE: October 24. District Governor, Larry Hatch, will be our speaker. President Om, always a living inspiration to others, closed the meeting with her usual up-beat reminder for us to …. Auggie Gonzales was today’s GREETER….Thanks to always-smiling-Auggie! Club President, Om, opened today’s meeting on a more somber note today asking us all to observe a moment of silence in remembrance of the horrendous tragedy that befell our nation 17 years ago on 9 -11, 2001. Dr. Stan Kern led us in today’s Pledge…Thanks, Dr. Stan! Guests today were: Steve Drew [Owner of Steve’s Auto Service – location of our beautiful, newly finished Rotary Mural!] – guest of Auggie G.; Kaheela Reid [George Fox] – guest of Auggie G.; Gene Piros [applying to be a “Friend of Rotary” – and former Newberg Rotarian] – guest of Auggie G.; and Laura Isiordia [The Ford Family Foundation announced that it has hired Laura Isiordia, a community leader from Woodburn, to serve as the Foundation’s fourth field coordinator, a field-based position for the Foundation.] – guest of Denise Bacon. Additionally, three Newberg High School students…our speakers for today….will be introduced separately. Welcome all! Walter and Julie Want just returned from a “whirl-wind” trip to the Middle East and India. Welcome home! 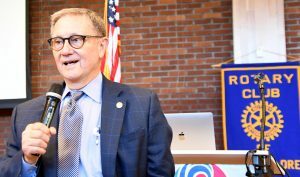 Walter spoke of the importance of wearing one’s Rotary pin when traveling, as they met some very interesting fellow Rotarians during their trip…because of the ready identification of another Rotarian wearing a Rotary pin...and vice-versa! [I hope their trip will result in a GREAT PROGRAM in the near future for our entertainment and education! Lisa Blackburn will be presenting “Partnering to Serve the Hungry in Newberg/Dundee”. Learn how various organizations and businesses in Newberg/Dundee are partnering and/or coordinating to feed the hungry in Newberg/Dundee and Yamhill County. 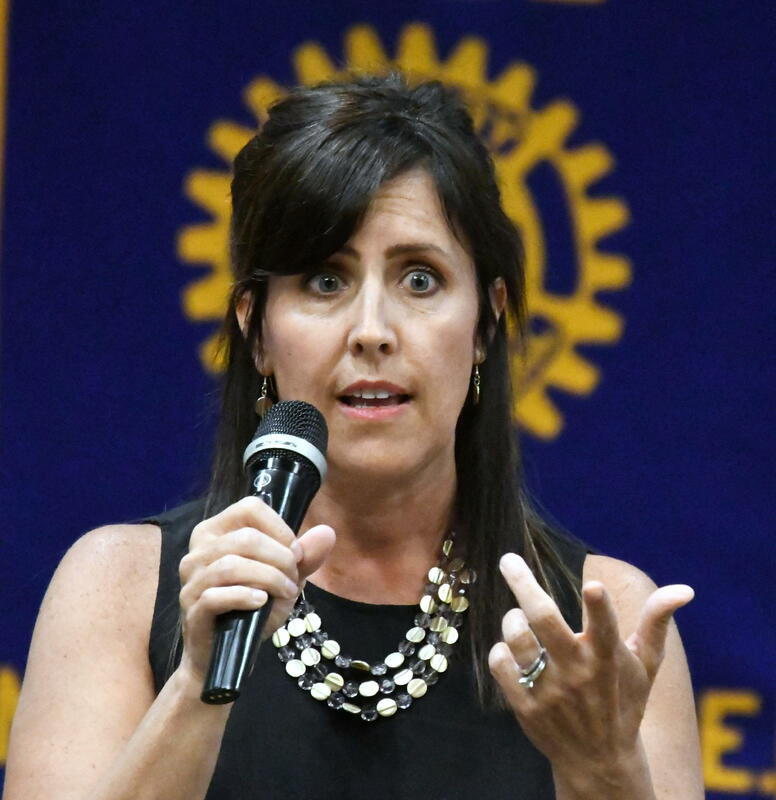 AND – New member Kim Abraham’s Rotary Classification talk is set for 9/26/18. Geoff Gilmore re-introduced Steve Drew, thanking him again for allowing our intrepid George Fox University art students’ team to paint the Rotary Mural Project …on the east-facing exterior wall of Steve’s Auto Service business building. 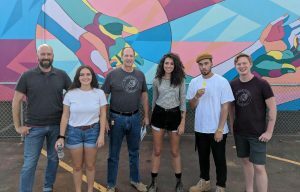 The “Block Party” celebration for completion of that mural was Saturday, September 8, and was well-attended…mostly by GFU students…also by a number of Noon Rotarians. As a way of extra thanks to Steve, please consider his business the next time your car needs some extra special attention! 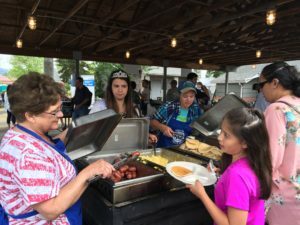 Leah Griffith reported on our Club’s involvement in the community’s annual OktoberFest celebration…this last weekend…and a little rain didn’t keep people away from the event, put on by the Early Bird Rotarians at the Chehalem Cultural Center. There were racing wiener dogs, brats, polka bands and music from Hit Machine. There was also a Rotary Day display just inside the lobby of the Center’s Main Entrance…sharing what our two Newberg Rotary Clubs and Rotary International are accomplishing in the world. A key display were the 3D viewers sharing the End Polio Now Project and we’ll be bringing those to a club meeting to share. We also had a chance to share our club with the Oktoberfestees including prospective members and a donor to our Annual Auction. Gail Watson, Karl Hughes and Leah Griffith worked on the Friday set up. Deborah Cathers Seymour, Mike and Amy Caruso, Ray Hillman, Denise Bacon, Walter Want, Corey Zielsdorf, Om Sukheenai, Leah Griffith, Paula Radich and Jeff Lane, all helped out. It was a GOOD weekend! Thanks to Bob Travers and Tina Enomoto from Early Birds for coming up with the idea for the Rotary Info Lobby. Before 9 AM Saturday the 15th, three  intrepid Noon Rotarians, Shannon Buckmaster, Kimberly Abraham, and yours truly, Editor Rick, showed up with work clothes on, at the local/current Habitat-for-Humanity build, on 8th just west of Blaine, ready and willing to do the bidding of the Site Supervisor, Josh Hanselman. In short order, we were each given white paint, brushes/rollers, and specific instructions/assignments to make the interior trim look GREAT! We were joined by the soon-to-be-homeowner, Jose, and WE ALL GOT TO WORK! About 11:30 we were treated to a delicious home-made lunch of super-fresh & caliente tortillas, falling-off-the-bone-juicy-and-spicy chicken and re-fried beans…with cookies, too…YUMMY! With fresh white paint on all the interior trim, the house is starting to look like a home! What a privilege to help Jose and his family with this Habitat-for-Humanity project! Just another way Rotary helps in our communities! A BIG THANKS! to Shannon for coordinating our volunteerism! And what a great “hands-on” way to get Kimberly involved in Rotary Community Service right away! HEALTHY KIDS FUN RUN – This fall launches a series of runs for local youth. Event Coordinator, Rachael Nichols, is in need of volunteers. You can sign up on the link below. FIRST RUN – The first run is scheduled for SUNDAY, SEPTEMBER 16TH and begins at JOAN AUSTIN ELEMENTARY SCHOOL. Volunteers should plan to arrive by 3:45 p.m. for the first run and at 4:00 p.m. thereafter. The event should conclude by 5:30 p.m. if all goes well…and at 6:00 p.m. at the very latest. VOLUNTEER ASSIGNMENTS – Course marshals to stand along the course to help youth know where to go and cheer them on. Finish line help (tearing bibs, timers, recorders). Becky Ankeny again reminded us of the upcoming seminar opportunity in “Interrupting Hate in Public Spaces”…to be held September 21, from 2 – 5 PM at the United Methodist Church. The event is sponsored by Noon Rotary and the Emerging Friends Church. Printed material on this was distributed at each table. Check with Becky for more details. Also remember that the e-mail link is on the club’s website for volunteer sign-ups for Senior Meals, etc. Former Newberg Noon Rotarian Gene Piros (and soon to be Friend of Rotary) ably handled the “Duck” today…managing to collect generous contributions from several Rotarians present…though Gene has been away for a number of years, it was obvious he already knew what to do with the Duck! Quentin is also a Life Scout with Troop 520 in Newberg, and is a Hornaday Award candidate. 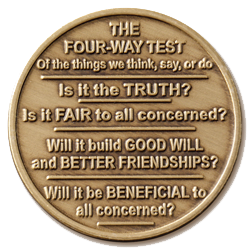 The William T. Hornaday Award is Scouting’s most prestigious environmental conservation award. Quentin plans to apply for the Silver Medal by completing four  environmental projects in Newberg before his eighteenth [18th] birthday in May of 2019. He provided us with printed material detailing the award project and his plans to achieve them. For more information on his efforts at quentincomus@gmail.com or call him to do a presentation for a school or youth group, call him at 971-264-4309. Thank you!…to these sharp/very active/involved/forward-looking Newberg High School Seniors! Lynn Quinn Montoya was today’s GREETER….Thanks, Lynn! Our ever-effervescent Club President, Om, opened today’s meeting. Denise Bacon led us in today’s Pledge…Thanks, Denise! Guests today were: Ashley Boyer, hosted by Corey Z.; Gene Piros, hosted by Paula Radich; and a visiting Rotarian from the Newberg Earlybird Rotary Club, Shelley Kolb. Welcome all! 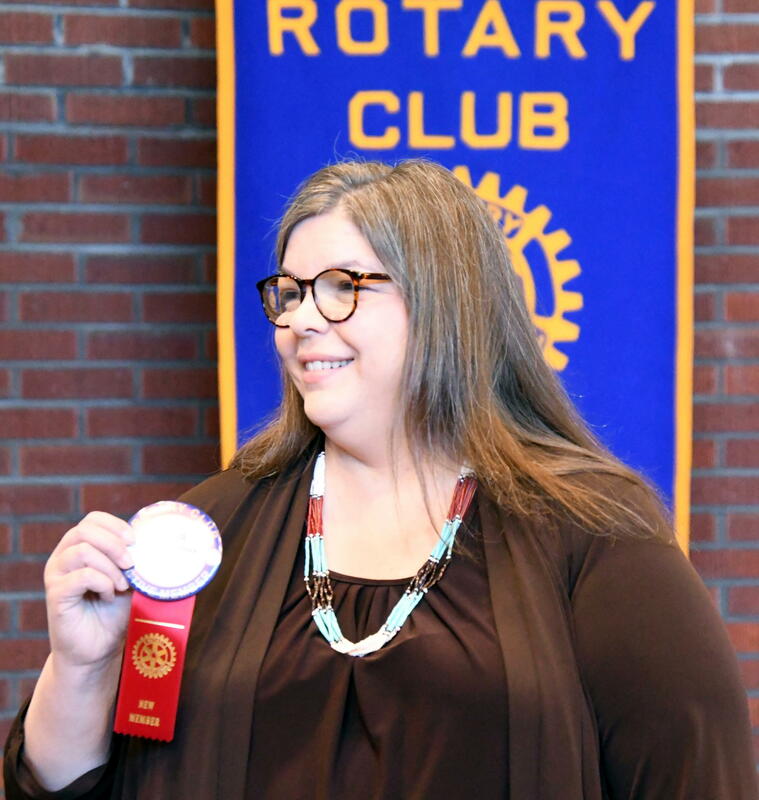 New member Kim Abraham’s Rotary Classification talk is set for 9/26/18. Leah Griffith reminded us again of our planned involvement in the Early Bird Rotary Club’s annual Oktoberfest celebration…a golden opportunity to let others know more what Newberg Noon Rotary is all about….”tooting our own horn!…”…and with our space to be INDOORS at the Cultural Center! This fall launches a series of runs for local youth. Event Coordinator, Rachael Nichols, is in need of volunteers. You can sign up on the link below. FIRST RUN The first run is scheduled for SUNDAY, SEPTEMBER 16TH and begins at JOAN AUSTIN ELEMENTARY SCHOOL. Volunteers should plan to arrive by 3:45 p.m. for the first run and at 4:00 p.m. thereafter. The event should conclude by 5:30 p.m. if all goes well…and at 6:00 p.m. at the very latest. Becky Ankeny let us know of the upcoming seminar opportunity in “Interrupting Hate in Public Spaces”…to be held September 21, from 2 – 5 PM at the United Methodist Church. The event is sponsored by Noon Rotary and the Emerging Friends Church. Check with Becky for more details. Paula Radich also reminded us of the e-mail link on the club”s website for volunteer sign-ups for Senior Meals and the Habitat for Humanity project this month. Cory Zielsdorf introduced today’s program speakers: Ciera Dube, BSN/RN/iRNPA, Owner and Advocate of Connected Care Patient Advocates, LLC., and Antra Boyd, also an RN. Between the two of them they have 40+ YEARS of Surgical Nursing experience, giving them solid, unique perspectives on the issues they are addressing. This “dynamic duo” spoke of the growing need for assisting/advocating healthcare patients through what can be a daunting, often difficult to fully understand, maze of medical/technical/legal jargon, regulations, procedures, and other bureaucratic “red tape”. Several examples were presented of why and how their services are managed. This field is a relatively new role for nurses…with national certification having just started last year. One of the areas of “challenge” is the dramatically reduced amount of time a doctor spends with a patient compared to…say… 20+ years ago…because the doctor must…because of current laws & regulations…spend what seems an inordinate amount of time at a computer getting “pre-authorization”…and then followed by a myriad of post-procedural justifications for time spent and fees charged. Additionally, too frequently many doctors do not adequately explain…in LAY TERMS…really understandable/understood by the patient[s] what diagnoses are, treatment options, essential post-treatment care, procedural risks, etc. Patients need to know…and deserve to know these things! Addressing such matters, these highly-qualifed and experienced…and soon-to-be-certified…nurses…are doing a much-needed and very valuable service for vulnerable patients. Thank you, Nurses Ciera and Antra! President Om then closed the meeting with her usual enthusiastic reminder for us to …. Denise Bacon was today’s GREETER….Thanks, Denise! With our Club President, Om, not available today, Immediate Past Club President, Todd Engel, stepped up and ably opened today’s meeting. Denise B. also led us in today’s Pledge…so a double thanks, Denise! 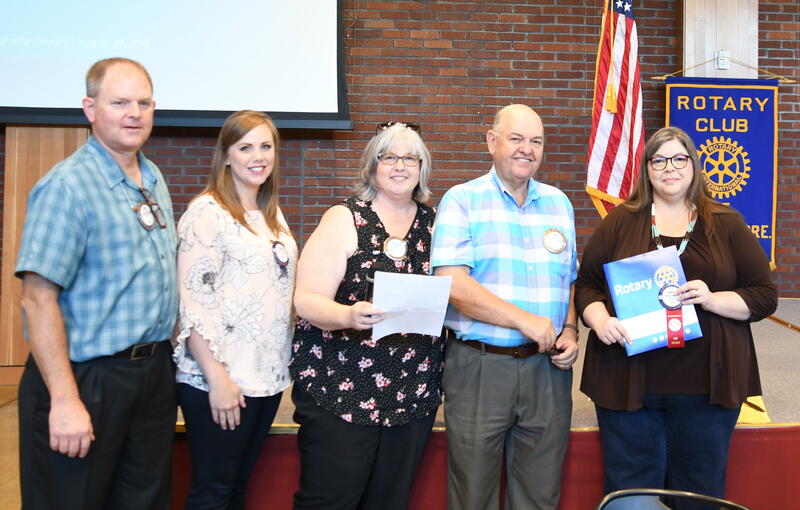 Guests today were: Laurent Kuzarov – guest of Beth Pent; Rick Rodgers, Newberg mayoral candidate – guest of Denise Bacon; and Kari Fahrenkopf & Rod Federwisch visiting Rotarians from the Newberg Earlybird Rotary Club. 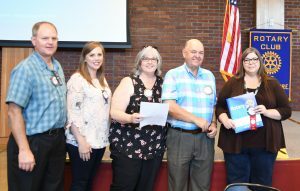 AND…we officially welcomed/inducted a new Rotarian into our midst: Patricia “Trisha” Hornback is sponsored by Mike Caruso. Trisha is Professor of Intercultural Studies at the George Fox University Center for Peace & Justice. 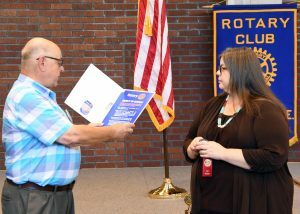 Please take time to personally welcome Trisha into Newberg Noon Rotary! 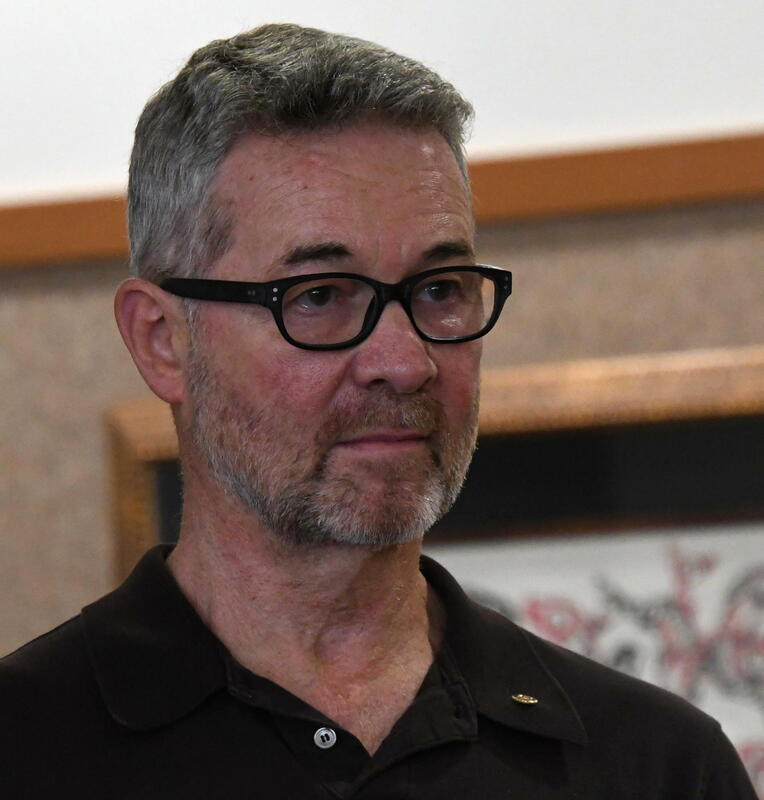 Geoff Gilmore spoke of the recent memorial to his late sister in Sand Point, Idaho. Thanks for sharing such a personal, heart-felt remembrance, Geoff! Geoff Gilmore also reported on major progress with the Rotary Mural Project …on an exterior wall of Steve’s Auto. The “Grand Opening” for the mural is planned for September 8, at George Fox University….with details to follow. 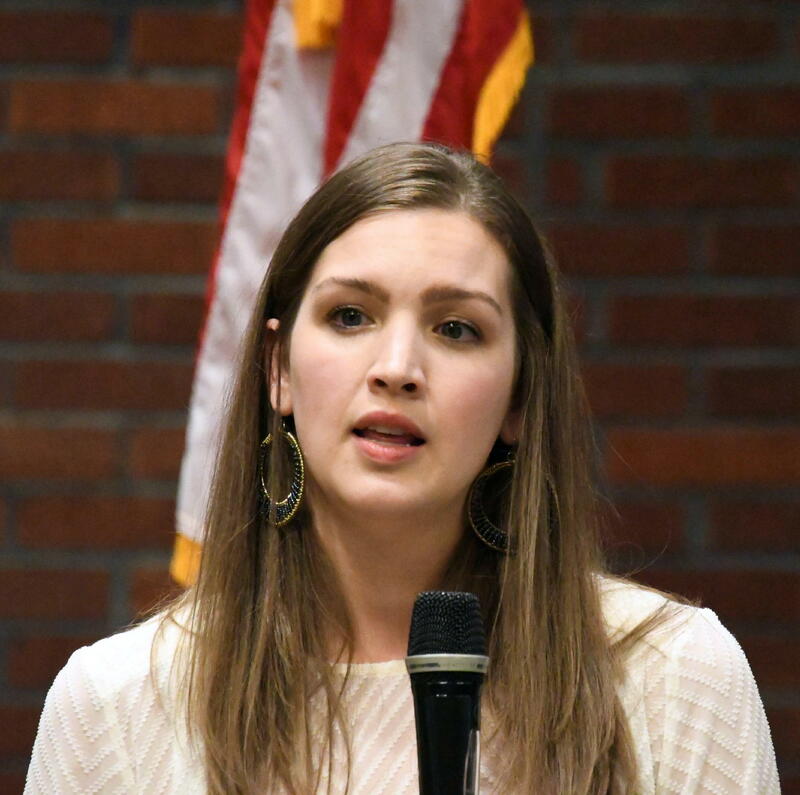 Leah Griffith reminded us of our planned involvement in the Early Bird Rotary’s annual Oktoberfest celebration…a golden opportunity to let others know more what Newberg Noon Rotary is all about….”tooting our own horn!…”…and with our space to be INDOORS at the Cultural Center! Becky Ankeny let us know of an upcoming seminar opportunity in “Interrupting Hate”. Check with Becky for more details. Jeff Lane said that $803 had been collected so far for our participation in the Pancake Breakfast. Paula Radich let us know of the e-mail link for volunteer sign-ups for Senior Meals and the Habitat for Humanity project this month. 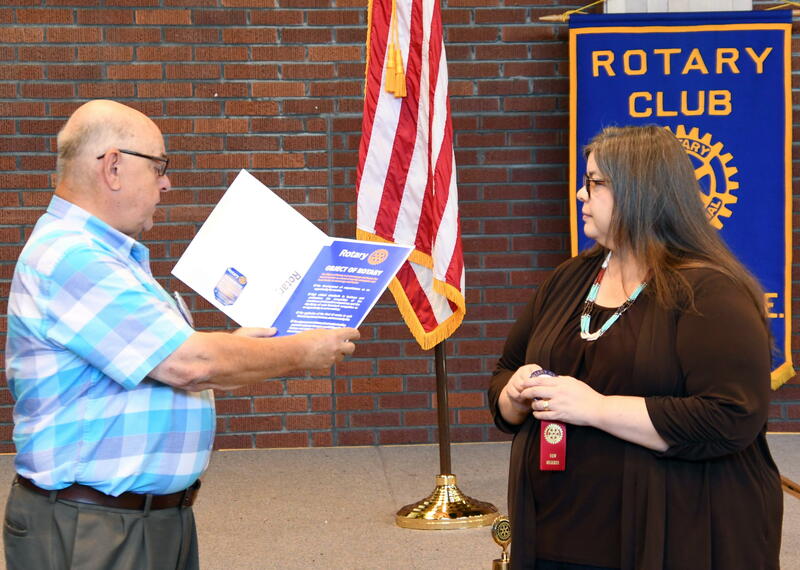 EarlyBird Rotarians Kari & Rod announced their club’s upcoming activities….with details available on their website. 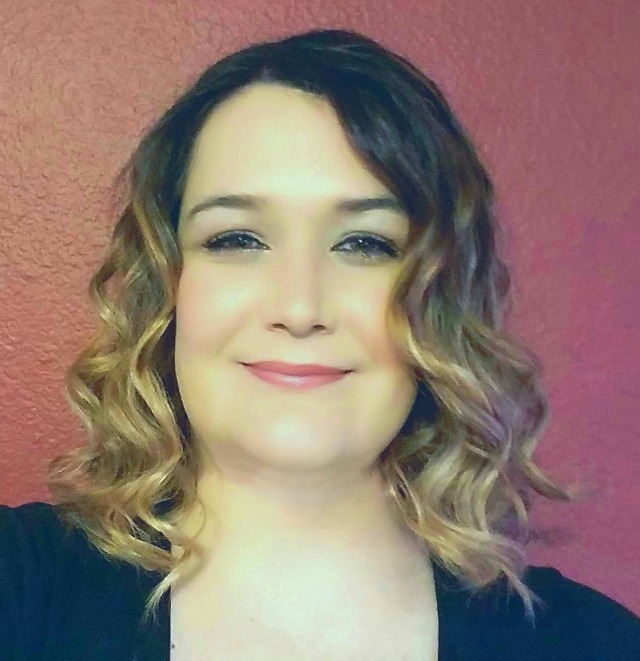 Corey Z. says the program for September 5, is Ciera Dube, BSN/RN/iRNPA, Owner and Advocate of Connected Care Patient Advocates, LLC. Thanks to all who availed themselves of the “Tunes on Tuesday” free summer concerts! We look forward to next year’s musical entertainment offerings! 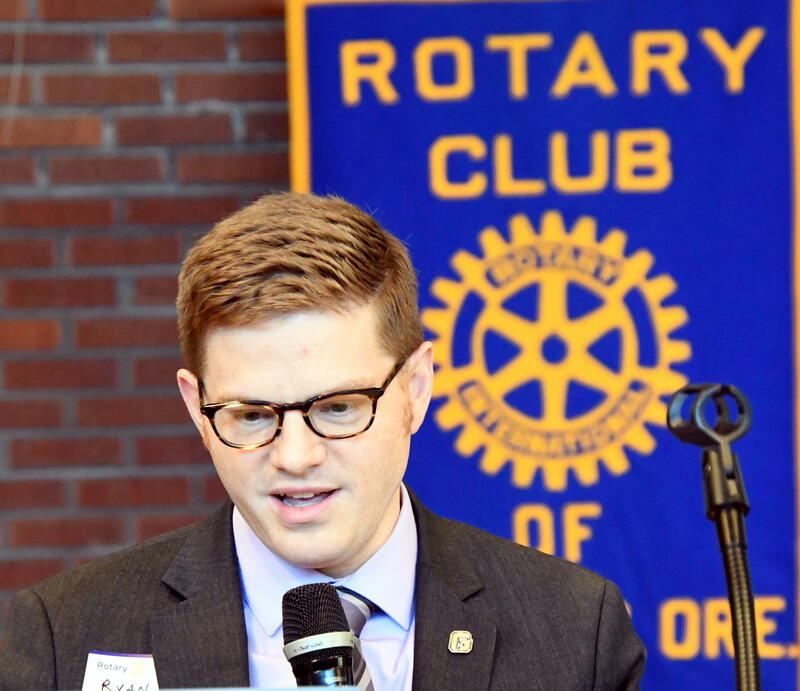 Newberg Noon Rotary Club prides itself in its involvement with our local community, including George Fox University. So, it is only appropriate that we get occasional updates as to what is happening within that center of education. And, to do so Newberg Noon Rotarian Fred Gregory recruited Ryan J. Dougherty, Vice President for Enrollment and Marketing, to tell us all about what George Fox University [GFU] has been doing and future plans in the works. In 1986 GFU had a student population of 500. In 2018 that has ballooned to 4,050. Per education and transformations, there has been a 24% growth mostly in healthcare and grad programs…with a new Biomedical Engineering program offered and an RN-to-BSN program expecting to start in the Fall of 2019. Also, there is a high demand for a Physicians Assistant Program with a 2021 student enrollment planned. GFU’s Swim Team has now partnered with Chehalem Parks & Recreation for use of the new Aquatic Center. GFU Facilties‘ news: Villa House has been re-located; an existing residence hall has been remodeled; work proceeds on a Multi-Purpose facility on Crestview; a new residence hall is under construction off Villa Rd….and the new “Hadlock Student Center” is moving forward. SO….as we can see, there is a LOT of “POSITIVE NEWNESS” going on at GFU! 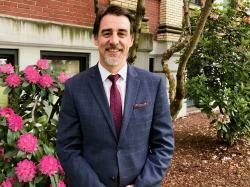 A BIG THANK YOU to Ryan for a “GOOD NEWS!” update on George Fox University! Todd then closed the meeting with his usual quiet demeanor but also reminding us to …. With Special Thanks to Denise, Beth and Auggie for meeting notes and photos…and Amanda Greene for her technical support!